Supergirl probably won’t give us a straight-up version of Superman anytime soon, and is happy to play around with his presence in this universe, but that doesn’t mean the show can’t bring out as much of the Man of Steel’s comic lore as it wants. Such a thing happened tonight that could lead to some monumentally awesome episodes in the future, as Kara and James’ trip to the Fortress of Solitude – itself an awesome reference – revealed to audiences a Legion Flight Ring, which means the futuristic superteam the Legion of Super-Heroes exists in this universe. I’ll allow all the comic fans time to stop squealing and jumping up and down before continuing. The moment in question happened after Kara and James entered the Fortress, using the dwarf star version of the key, and they passed the ring on the way to getting info from Kelex. Its presence asserts that in Supergirl’s canon, Kara’s powerful cousin joined the Legion of Super-Heroes at one point (probably while he was Superboy), which could open up an avenue for Supergirl to one day fight enemies alongside the iconic comic team. How that would happen, I’m not currently at liberty to speculate until my eyes bleed, but the DC TV universe basically allows for anything under any Earth’s sun already, so it shouldn’t be too much of a plot jump. 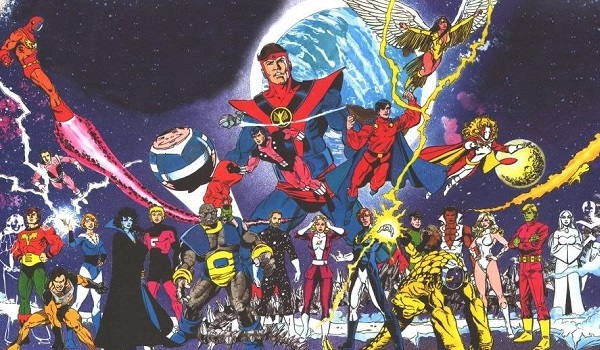 The Legion of Super-Heroes’ existence was actually hinted at some months back, although we weren’t sure where DC would introduce them. They first came into being through Adventure Comics in 1958 as a group of time-traveling suits who would visit Superboy on a regular basis. The Flight Ring was introduced some years later as the group’s popularity grew, and the lineup has gone through a bunch of different versions over the years. Supergirl was actually also a member in one version, and other super-members include Brainiac 5, Kid Quantum, Phantom Girl, Dream Girl, Tyroc, Green Lantern and Ultra Boy, to name but a mere few. There was also Porcupine Pete, so let’s hope he shows up in live-action. There’s no telling what kind of lineup Supergirl would give the team, but I don’t think any fans would be too picky about who made the cut, so long as the CBS drama works some far-reaching time travel into the narrative. Kara’s life is difficult enough as it is, especially with new villain Indigo seemingly joining forces with Non, so she’s probably not quite ready for that kind of adventure. But maybe Barry Allen can give her some futuristic advice when he pops by for the crossover episode. There is, of course, the chance that this is just a wink-wink piece of set dressing that won’t actually pay off in the future. The episode also showed us a statue of Jor-El and Lara and the escape pod Kal-El came to Earth in, and those probably aren’t meant to clue us into something coming up. But then it was revealed that Non is using the Omegahedron in his schemes, and that’s a big reference to Jeannot Szwarc’s 1984 Supergirl movie. So I’m not convinced that the Legion ring wasn’t more meaningful than whimsical. 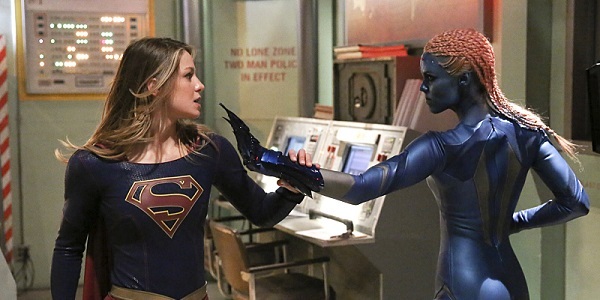 Supergirl airs Monday nights on CBS, although not next week. Do you guys want to see Legion of Super-Heroes shows up in the future?